CP 2816 Empress Steam Locomotive We shot Time Lapse Video, High Speed Video and some good old HD video of CP’s 2816 on the first run of 2011, from Calgary to just before Claresholm, Alberta. Follow the link below to see where else 2816 will visit this summer. 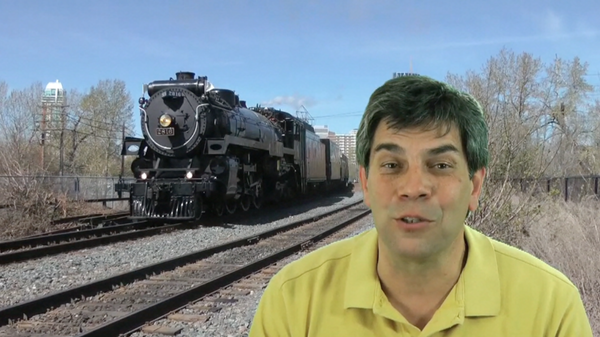 Nate Galluppi is preparing a documentary of Wilmington Railroad Museums’ successfull World’s Longest Model Train run last month. He followed them from the very beginning and all the way through the process. We show you some of the trailer for the documentary in the epsiode, but here is his full trailer. A few items from our News feed. Jamaican Mayor tries to save his towns railway heritage. California High Speed Rail, A train to Somewhere. Strating the most Northerly Railroad in the world, on Baffin Island. The most punctual Railroad in Britain. A few items from our Railway Weekender. Memorial Day in Nevada at the Nevada Northern Railway.